Shown here are some examples of the Modular Rigging System in use. 1. Shows a Modular Tee with thru connector, suspending two fixtures with safety bonds in use with the provided safety bond slots. 2. A tree of two Modular Tee's with thru connectors and 500mm Tee. 3. Two small 'H' Frames connected to a large 'H' Frame suspending a bank of fixtures. 4. 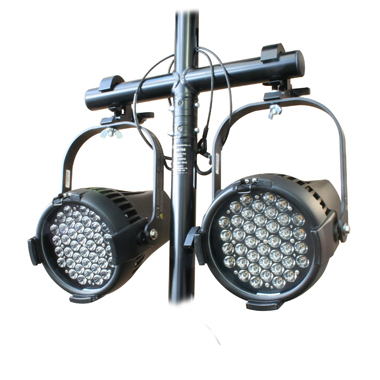 Two moving lights suspended on a large and small 'H' Frame. 5. A stirrup connected to a drop arm extension.